Running a business is hard work – and when that business is ensuring that seniors receive reliable care in their homes, there can be an additional and unique level of stress. However, ClearCare Online home care software strives to provide agency owners and administrators with a home care system that provides a wealth of little features to be thankful for, all of which can make your business process easier. Growth Assistance: If you’re looking to expand your business, ClearCare Online offers an entire CRM module within your home care software. You can track prospects, referral sources and help strengthen current client relationships all with one home care system that you’re already using to run daily business functions. Increased Communication: Keeping in touch with clients, their loved ones and caregivers can have a massive impact on your agency’s reputation amongst clients and employees. Using a home care software or home care system, like ClearCare Online to help manage employee contacts via email and text sent right through your home care system, or using ClearCare Online home care software’s Family Room makes keeping in touch with all of the important players within your agency a far more manageable process. Time Savings: The day to day processes, like payroll and invoicing, or tracking when caregivers arrive to and leave from shifts can take a major chunk out of your day. 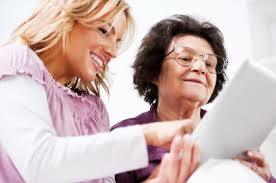 However, home care software, such as ClearCare Online is designed to save you time. With automated processes like built into your home care system to assist with speeding up things like caregiver supervision and processing payroll, you have more time to focus on the bigger picture items for your business – like growth and long term strategy. Running a business will always be hard work, but with the technological power of a home care software or home care system, like ClearCare on your side, you can at least be thankful for the little efficiencies that help make your job easier.